It's hard to stay up to speed with everything that's happened in Perth in 2018; it's been a big year. Not only were we gifted hundreds of new openings (there were 25 in our last list alone), but a good chunk of them have already become our all time favourite cafes, bars and restaurants in Perth. We've narrowed it down 15 so you've got a chance of knocking them all off before the new openings of 2019 begin. Yes, we've already cheated and given you two spots for the price of one. QT opened a few months back and brought with it a new restaurant and two new bars. 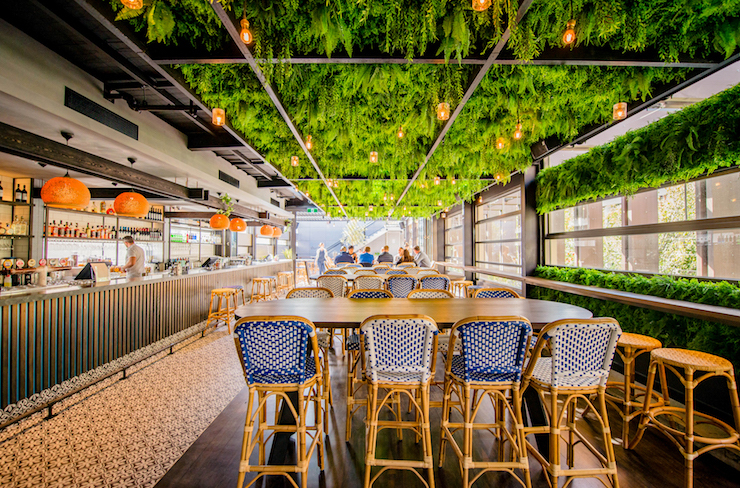 Santini Bar and Grill is dishing up a delicious menu of Italian eats made from local West Australian produce, all from their open kitchen so you can sit back and watch the chefs at work. If you forgot to make a booking but are desperate to eat at Santini, take a seat at the bar and enjoy their signature cocktails and a selection of their menu. While you're there, you can't miss the rooftop bar for a killer sunset, heavenly cocktails and some delicious nibbles too. 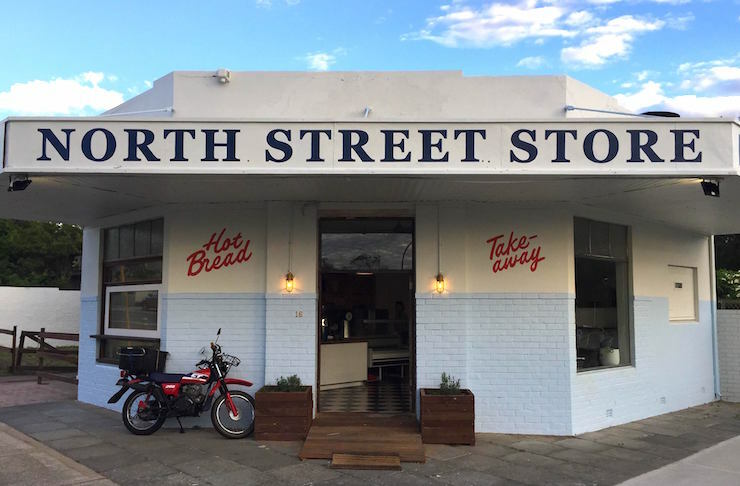 North Street Store in Cottesloe has been bringing back the old corner deli vibes since early 2018 and we have been sold since day one. These bakers not only serve up a frequently changing, simple breakfast, lunch and dinner menu every single day, but also stock all the necessities like milk, freshly baked bread and eggs. When it comes to the food, think fluffy gnocchi, bacon and egg baguettes, toasted porchetta sandwiches, burgers, hotcakes and the best cinnamon buns in Perth. Perth’s first natural wine bar and shop, Wines of While was a much-needed addition to Perth’s wine scene. Sitting pretty at the top end of William Street, Wines of While is offering up takeaway and dine in prices on an impressive selection of natural wines from all over the world, and this is one wine bar where you can enjoy first-class wine without the pretention. The fit-out is casual, the staff welcoming, and the vibe distinctly communal. When it comes to the food, think rustic Italian and French-inspired cuisine with an emphasis on quality ingredients and wholesome dishes that’ll fill the belly but won’t break the bank. 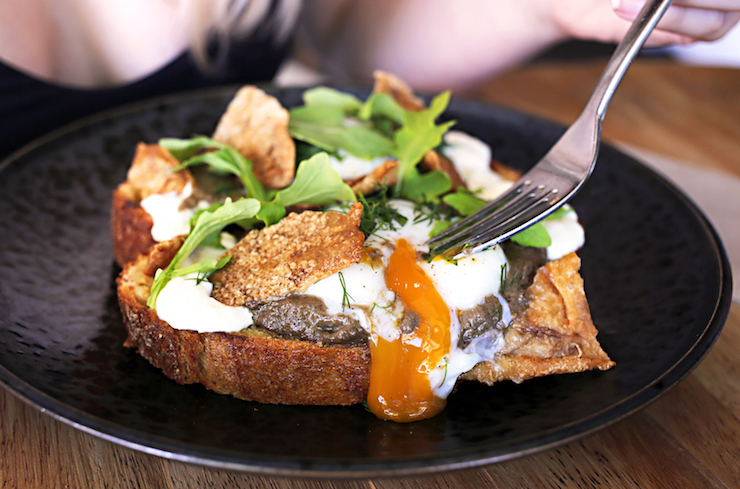 Brought to us by guys who used to own Restaurant Amuse in East Perth, Hampton and Maley is a cosy neighbourhood eatery with a focus on wholesome and delicious modern food. The heart of this place lies in the unusual ingredients, which stand out to create some impressive dishes. Think black pudding with fermented chilli scrambled eggs, crispy cabbage, and pickled apple, or the blue swimmer crab omelette with herbs and sourdough. 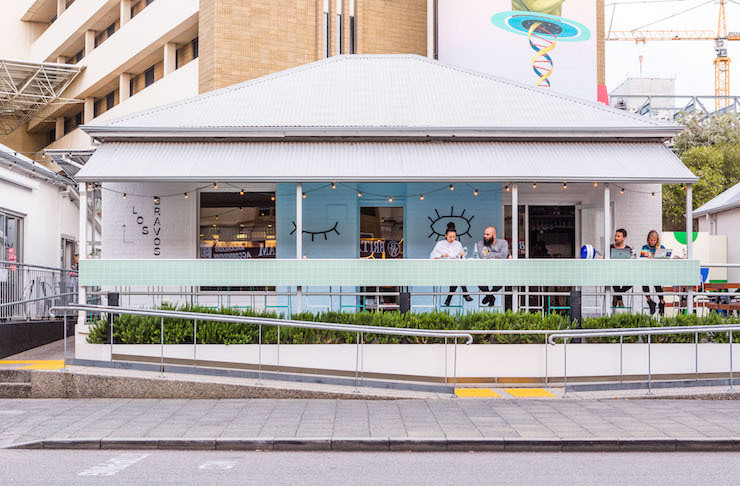 Nestled in the QV1 plaza and brought to us by the legends behind Mary Street Bakery, Tiny's is complete with a bar, restaurant and liquor emporium. With a custom wood-fire grill and rotisserie, it's not surprising they've nailed their signature dishes like whole roast chicken, sticky blood plum glazed beef intercostal sticks and roasted prawns with bottarga butter and burnt chilli. The liquor emporium has been well stocked under the guidance of acclaimed sommelier Rachael Niall and also hosts tastings, masterclasses, and intimate dinners. Opening at Hibernian Place earlier this year, this Middle Eastern inspired restaurant mirrors the same beauty as the origin of its cuisine. Think Moroccan tiles, gorgeous greenery, natural light and cocktails that will blow you away. While you’re basking in the sun of the rooftop bar try the Turkish Delight Martini, or find a table and order the diffa (the chef's menu) because trust us when we say you won't be able to decide what to order. Looking for a dumpling house with a difference? 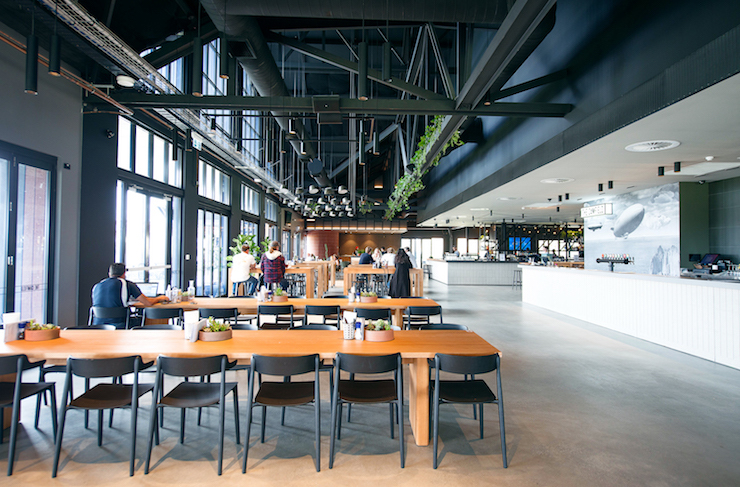 Look no further than Shy John; a two storey brewery and yum cha joint at Yagan Square. From Ian Chin (the legend that brought us Ramen Boy, Noodle Forum and Hiss and Smoke) Shy John is the home to some amazing craft brews, authentic Cantonese eats and seriously epic dumplings. Make sure you get your hands on the signature dumplings; the team uses charcoal to colour the wrappers and then paints them gold. When Emma Ferguson and Daniel Morris, the duo behind No Mafia and Balthazar, announced they were opening Los Bravos, a Spanish tapas restaurant in Northbridge, it was music to our ears. With authentic Spanish tiles lining the bar, handmade plates to match, and a record player spinning vintage Spanish tunes, it’s almost hard to believe you’re still in Perth when you’re inside. Get the 48-hour cured and salted Spanish mackerel and a glass of Spanish wine and call it a day. Did we mention it's dog-friendly? In case the name didn't give it away, Back Bar is located at the rear entrance of one of our all time favourite cafes, Hylin, along the West Leederville train line, and it quickly became one of our favourite small bars in Perth when it opened this year. There are some seriously good cocktails like the Mango Chilli Margherita, a combination of reposado, mango, jalapeno, egg white, and lemon juice, plus their burgers are legendary. Whether you’re looking for an insane collection of Japanese whiskey, a place to dance the night away or some out-of-this-world bar snacks, Goody Twos in Hibernian Place is where you need to be. Goody Twos comes to us from Perth hospitality rockstars Andy Freeman (Varnish on King, Big Bopper and Hadiqa are just a few of his other spots around town), Eamon Sullivan and Scott Bridger (the duo behind Bib & Tucker and May Street Larder) and if their first venture together is anything to go by, we’ve got our fingers crossed for many more. In the spot that used to be Late Night Valentine, Si Paradiso’s was brought to us by the masterminds behind El Grotto and Cale Mason, the creative director and one of the legends behind Late Night Valentine. To put it simply, the space is outstanding, the food will have you drooling (it doesn't hurt that Chu Bakery provides the bread and pizza dough) and the drinks are divine. We can’t imagine Perth without the Camfield so we’re unsure how we all survived pre-2018. Just 100m from Optus Stadium, your pre and post game drinks, meals and catch-ups are sorted. We're talking six bars, 175 beer taps, four menus, 20 screens and more. Want something to nibble on? Take your pick from buffalo chicken wings, beef brisket sliders, lobster brioche rolls, fries and so much more. The more Perth burger joints the merrier we say, so we welcomed Big Rigz in South Fremantle with open arms. Settled on South Terrace, these guys have so many burger options you won’t know what to do with yourself. Think grass-fed beef with streaky bacon, caramelised onions and chipotle mayo slaw. Or free-range chicken with kimchi, pickled daikon and Korean sauce. But the best part of these burgers are the Big Rigz secret recipe buns which will have you coming back over and over again. The best part? 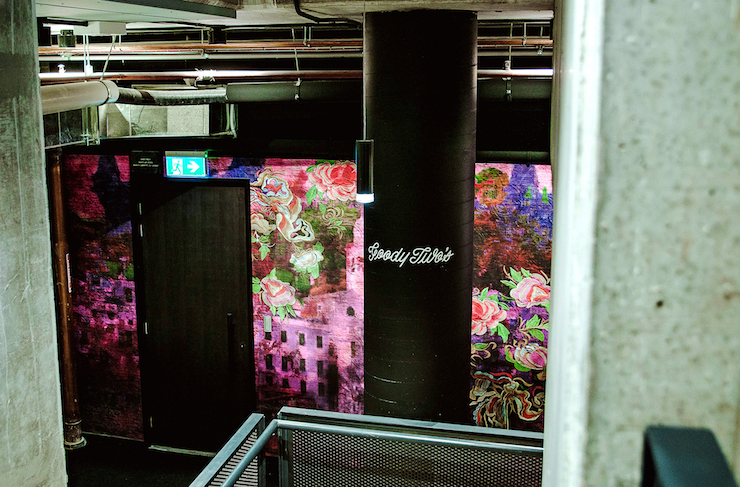 Big Rigz is BYO, so grab a bottle and settle in amongst the killer graffiti art and drool-worthy burgs. 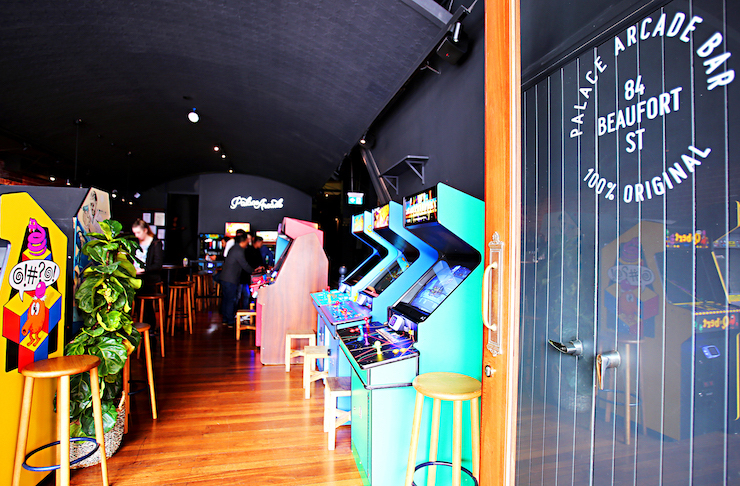 Perth's first arcade bar has been an absolute hit. It took over from the space that used to be Dominion League and the people of Perth lost their minds for it. There are arcade games aplenty, pizza from Mack Daddy's and cocktails galore; everything you need for the perfect night out. Drawing crowds to the heart of Shenton Park, the vibes at Piccolo Trattoria are not dissimilar to Nonna’s kitchen. The Sicilian-influenced menu is mainly composed of mouth-watering, home-style pastas and simple meat dishes that make choosing near impossible. We’d recommend ordering their in-house made mozzarella sticks as a starter before your big bowl of hearty Italian goodness. Just as an added bonus, the hip little joint is BYO.